This Family Edition acts as an accompaniment to the main Covenant & Conversation essay for Vayishlach 5779 which you can read here. Parshat Vayishlach tells the story of the meeting between Jacob and Esau after twenty-two years of separation. Hearing that his brother is coming to meet him with a small army of four hundred men, Jacob is “greatly afraid and distressed.” He creates a three–stage strategy: first he divides his camp into two, then he sends gifts to Esau, and finally he and prays. That night Jacob finds himself wrestling with a mysterious stranger, in an episode that ends with him being given a new name, Israel, meaning “one who struggles with God and men and overcomes.” The next day, the two brothers meet, not in violence but in peace. They embrace and then go their separate ways. The parasha ends with the death of Isaac and a list of all of the descendants of Esau. Twenty-two years have passed since Jacob fled his brother Esau, penniless and alone; twenty-two years have passed since Esau swore his revenge for what he saw as the theft of his blessing. Now the brothers are about to meet again. It is a tense encounter. Esau had sworn to kill Jacob. Will he do so now – or has time healed the wound? Jacob sends messengers to let his brother know he is coming. They return, saying that Esau is coming to meet Jacob with an army of four hundred men – suggesting to Jacob that Esau plans to fight him. Jacob’s reaction to the news is immediate and intense: Then Jacob was greatly afraid and distressed… (Gen. 32:8). His fear is understandable, but the Torah’s description of his response is also puzzling. Why use two verbs that are similar in their meaning? What is the difference between fear and distress? To this a Midrash gives a profound answer: Rabbi Judah bar Ilai said: Are not fear and distress identical? The meaning, however, is that “he was afraid” that he might be killed; “he was distressed” that he might kill. For Jacob thought: If he overcomes me, will he not kill me; while if I overcome him, will I not kill him? That is the meaning of “he was afraid” –that he may be killed; “and distressed” – that he may have to kill. The difference between being afraid and distressed, according to the Midrash, is that the first is a physical anxiety, the second a moral one. It is one thing to fear one’s own death, quite another to contemplate being the cause of someone else’s. Jacob’s emotional crisis had two levels – both physical and psychological, material and moral. Do you think it is likely two brothers could hate each other so much they could come to kill one another? Would it have been wrong of Jacob to kill Esau in this situation? If not, then why did this possibility still cause him distress? Jacob was worried he may become a killer. Are you scared of becoming a person you are not proud to be? Long before the Temple was built, two brothers lived and farmed on that site. One was married and had a large family, while the other was single. They lived in close proximity to each other, and each worked his land growing wheat. When harvest time arrived, each was blessed with a bountiful crop and piled up his grain for long-term storage. The unmarried brother, observing his good fortune, thought to himself that God had blessed him with more than he needed, whereas his brother, who was blessed with a large family, could surely use more. He arose in the middle of the night and secretly took from his grain and put it in his brother’s pile. Similarly, the married brother thought to himself that he was fortunate to have children who will care for him in his old age, while his brother will depend on what he saved. He, too, arose in the middle of the night and quietly transferred grain from his pile to his brother’s. In the morning, each pondered why there was no noticeable decrease in his own pile, and so they repeated the transfer the next night. These nocturnal activities went on for several nights, until one night the brothers bumped into each other. In that instant, in the dark of night, the glow of brotherly love lit up the mountain sky; they each understood what the other had been doing and fell into each other’s arms in a loving embrace. According to the legend, when God saw that display of brotherly love, He selected the site for His Temple. What is the message of this story? How is it connected to the story of Jacob and Esau’s meeting in the parsha? If you have siblings, is your relationship more like Jacob and Esau’s, more like the brothers in this story, or both? The idea contained in “The Core Idea” raises a further question. Self-defence is permitted in Jewish law. If Esau were to try to kill Jacob, Jacob would be justified in fighting back, if necessary at the cost of Esau’s life. Why then should this possibility raise moral misgivings? A dilemma, however, is a situation in which there is no right answer. It arises in cases of conflict between right and right, or between wrong and wrong – where, whatever we do, we are doing something that in other circumstances we ought not to do. 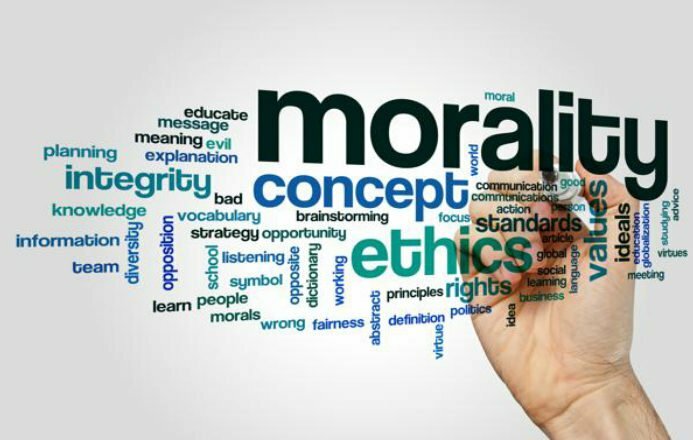 Moral dilemmas are situations in which doing the right thing is not the end of the matter. The conflict may be inherently tragic. Jacob, in this parasha, finds himself trapped in such a conflict: on the one hand, he ought not allow himself to be killed; on the other, he ought not kill someone else; but he must do one or the other. The fact that one principle (self-defence) overrides another (the prohibition against killing) does not mean that, faced with such a choice, he is without qualms, especially given the fact that Esau is his twin brother. Despite their differences, they grew up together. They were kin. This intensifies the dilemma yet more. Sometimes being moral means that one experiences distress at having to make such a choice. Doing the right thing may mean that one does not feel remorse or guilt, but one still feels regret or grief about the action that needs to be taken. A moral system which leaves room for the existence of dilemmas is one that does not attempt to eliminate the complexities of the moral life. 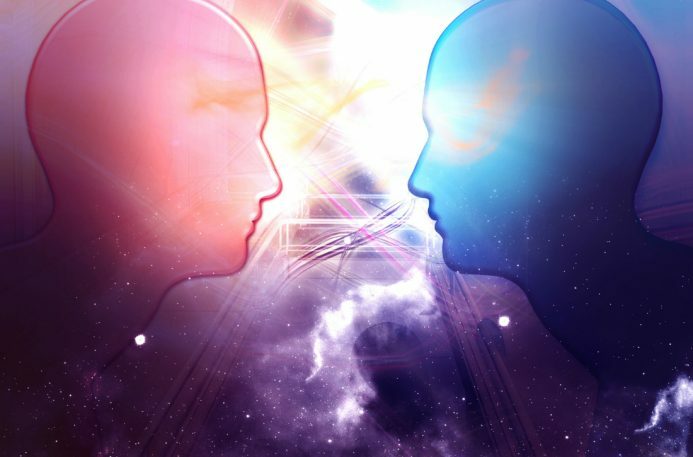 In a conflict between two rights or two wrongs, there may be a proper way to act – the lesser of two evils, or the greater of two goods – but this does not cancel out all emotional pain. A righteous individual may sometimes be one who is capable of distress even while knowing that they have acted correctly. What the Midrash is telling us is that Judaism recognises the existence of dilemmas. Despite the intricacy of Jewish law and its meta-halakhic principles for deciding which of two duties takes priority, we may still be faced with situations in which there is an in-eliminable cause for distress. It was Jacob’s greatness that he was capable of moral anxiety even at the prospect of doing something entirely justified, namely defending his life at the cost of his brother’s. Our custom is to spill a drop of wine at the words “Blood,” “Fire,” and “Pillars of smoke”; at the mention of each of the plagues; and at the three words of Rabbi Yehuda’s mnemonic. Many explanations have been offered. The most beautiful is that of Abudraham, who interprets it in accordance with the verse in Proverbs, “Do not rejoice when your enemy falls” (24:17). Even as we give thanks for the miracle of the plagues, as a result of which our ancestors gained their freedom, we also shed a symbolic tear for those who suffered. According to some commentators, that is why the Torah does not mention the word simcha, “rejoicing,” in connection with Pesach, unlike the other festivals. A Talmudic passage (Megilla 10b) states that when the waters of the sea returned and trapped the pursuing Egyptian army, the angels wished to sing a song of praise. God silenced them with the words, “My creatures are drowning in the sea, and you wish to sing a song?” God does not rejoice in the downfall of the wicked. Moral maturity involves an ability to live with complex situations and emotions. We may be uplifted by an event because it represents the triumph of justice, while at the same time identifying with the suffering of the victims. One of the glories of Judaism is that it reflects the complexity of the moral life without retreating into skepticism or relativism. The heroes of the Torah are rarely without their faults, nor are the villains wholly without virtues. This does not prevent us from making moral judgments, any more than grey refutes the existence of black and white. But it should protect us against the kind of attitude that grew up among the sectarians of the Dead Sea Scrolls, who divided humanity into the “children of light” and the “children of darkness.” Judaism forbids schadenfreude, malicious joy in the discomfort of others. It was the first faith in history to teach the unity of mankind under the universal fatherhood of God. Tears, therefore, are a universal language, and sympathy should know no religious or national borders. 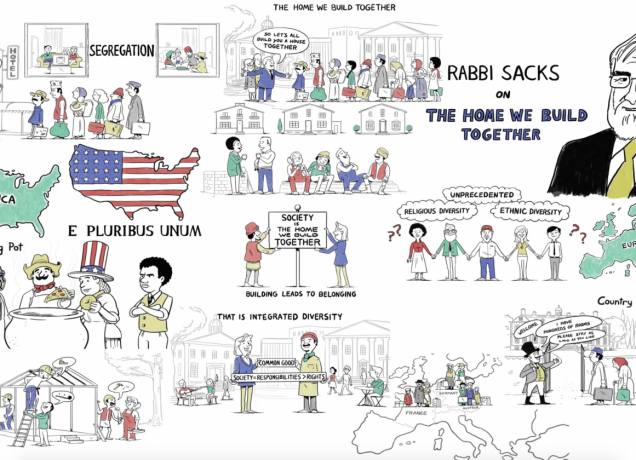 Can you see a connection between Jacob’s ethical dilemma explored above and the moral complexity of keeping our emotions in check when we triumph over our enemies as described by Rabbi Sacks in the Haggada? What is the message of both ideas? Are these ideas relevant in a practical way to modern Jewish history in general, and in your life in particular? Do you think Jacob’s fear about Esau at the beginning of our parsha is justified? Would Esau be justified if he did feel that way? Would Jacob have been justified if he had killed Esau? Do you believe it is ever ethically right to kill? If so, when? What impact do you think killing can have, even when morally justified, on a person emotionally and spiritually? What lessons do you think soldiers in an army could learn from this week’s Covenant & Conversation? Family relationships are often more intense versions of other relationships. The love between siblings will often be an intense love, but then there is also the potential for sibling relationships to go wrong, and when they do, this can lead to intense negative emotions. In this case, Esau feels that his birthright has been stolen from him an act of deep betrayal. It isn’t difficult to imagine how this could lead to extreme emotions (though no one is justifying murder even in this situation). If Esau had intent to threaten the life of Jacob, then Jacob would have been morally justified killing Esau in self-defense. This in fact is a halakhic imperative. However, despite moral, ethical, and halakhic justification, this does not mean this wouldn’t distress Jacob – all the more so because this is his twin brother. There are many factors that influence who we become as people, such as social pressures from friends, work, and society as a whole. Sometimes we find ourselves being gradually influenced in very small ways, until one day we wake up to find we no longer recognise who we are. This is a legitimate fear. Siblings can hate and love each other at one and the same time. There is something very beautiful about that, and it is a model for all human relationships. All humans can and should have a sibling-type relationship with one another, a brotherhood of man. Even if this leads sometimes to over-familiarity and negative emotions, the basis for a sibling relationship is always love. Just as Jacob feared killing Esau and the impact that would have on him, despite being ethically justified, so we must be sensitive to the value of life and the dignity of our enemies, even when we are justified in fighting them, or in fact destroying them. They are still fellow human beings, creatures of God, and while it may be challenging, we must strive to relate to them as such. These messages have modern relevance to modern Jewish history, for example with the Arab-Israeli conflict. It may be relevant to an individual who has experienced antisemitism. Turning the other cheek is not a Jewish value. Judaism does not expect unqualified forgiveness towards our enemies. We have every right, and in a fact religious obligation, to national defence, even when that means full blown conflict. However, Jewish ethics do demand sensitivity to the value of life, and human dignity of our enemies. After Jacob deceived their father Isaac and gained the birthright through subterfuge, Esau makes his feelings and intentions clear in Parshat Toldot (Gen. 27:41). There is no reason for Jacob to assume that Esau has mellowed over time and forgiven him. While we can understand Esau’s pain and emotions from this event, his threat to kill Jacob is not morally justified. If Esau was a threat to Jacob’s life, and there was no other way to neutralise this threat, then not only would Jacob be morally justified in killing Esau, but he would have had a religious duty to protect his own life, even at the expense of Esau’s. Pacifism is not a Jewish value. There are specific conditions when killing is justified, and in fact religiously required. Self-defence, including a war of self-defence, would be one of them. Despite Judaism’s stance on pacifism and ethically justified killing, this is not to suggest that there is not an emotional and spiritual cost to killing. The sanctity of life is an ultimate value in Judaism, and those that are forced to kill run the risk of becoming desensitised to the value and holiness of human life. A soldier is trained to kill and must carry out this duty for his or her nation. While this is recognised as the right of every nation to have an army to defend its citizens, the morality of the army is critical for the moral health of a society. A humane and moral army will invest in educating its soldiers to have sensitivity to the sanctity and holiness of life, and the human dignity of its enemy. The Israel Defence Forces (IDF) has a very clear and developed ethical code called the “Purity of Arms” where these values and issues are fully presented, and every soldier who serves in the IDF learns this as part of their basic training.